Erwin, Tennessee has a complicated history with elephants. Like many small towns in the south, Erwin was once the site of a traveling circus. The circus boasted a parade of wild animals, including an adult female elephant named Mary. Mary was being ridden by a new master and when she stopped along the parade route to innocently eat a watermelon rind, this novice slammed her with an elephant prod. She responded by throwing him off her back and trampling him to death in the street. Accustomed to mob justice, Mary was sentenced to death for her "transgressions" and perhaps with adrenaline running high from the spectacle of the circus, locals decided to lynch the elephant. 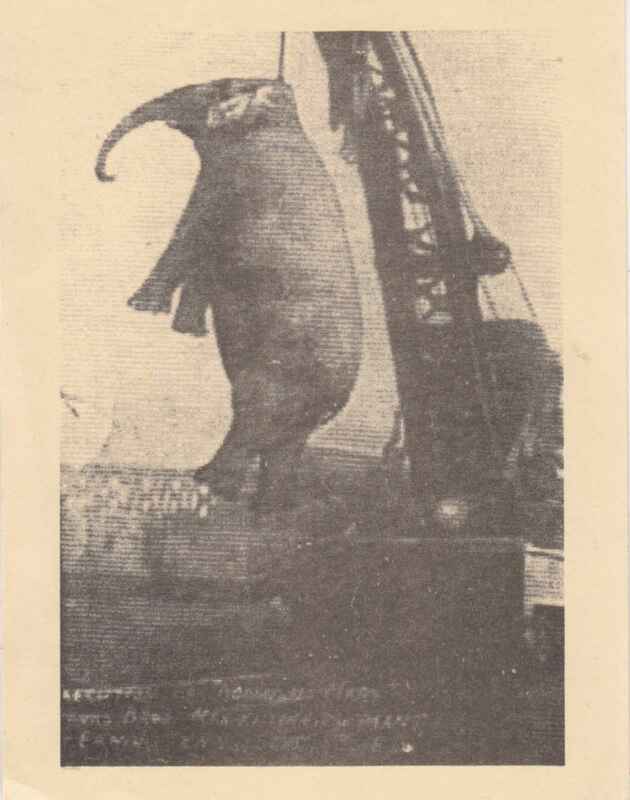 Mary, the Elephant, hanging from a crane. Fast forward 102 years and the town of Erwin is still often colored by its macabre history. Fortunately, some locals have banded together to write a new story about how Erwin, Tennessee treats elephants -- or, perhaps more accurately, paint one. 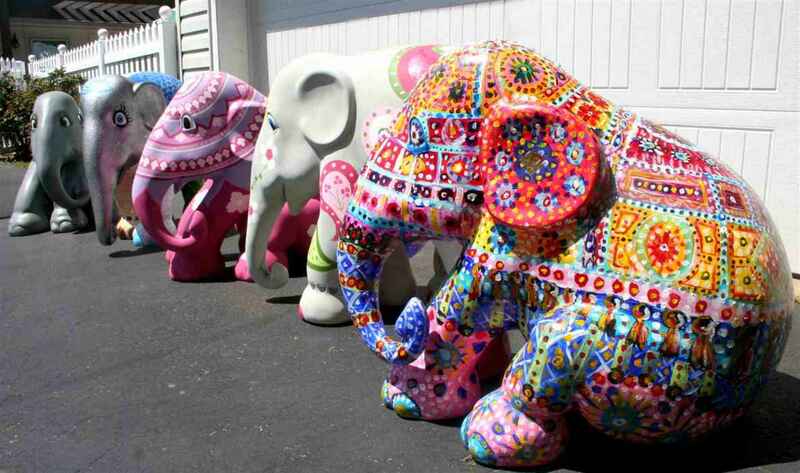 Local artists painted elephant statues and they were auctioned off at a public benefit this past weekend. The nearly $20,000 they earned from the art is going straight to a trustworthy elephant sanctuary. "We have created something positive out of something that's been so tragic and it's really creating a new perception of who Erwin is and our kids are going to grow up knowing a different elephant story," President of Rise Erwin, Jamie Rice told WJHL. Humans have a dark history when it comes to the treatment of elephants. Erwin is an example of a town that is owning their past so that they can determine their future.